There is no better time to finance your next vehicle purchase. At Frank Shoop we have partnered with the leading banks throughout our nation to ensure you get the very best rate on your purchase. In 2016 we financed over $24 million dollars worth of vehicles on our lot alone! 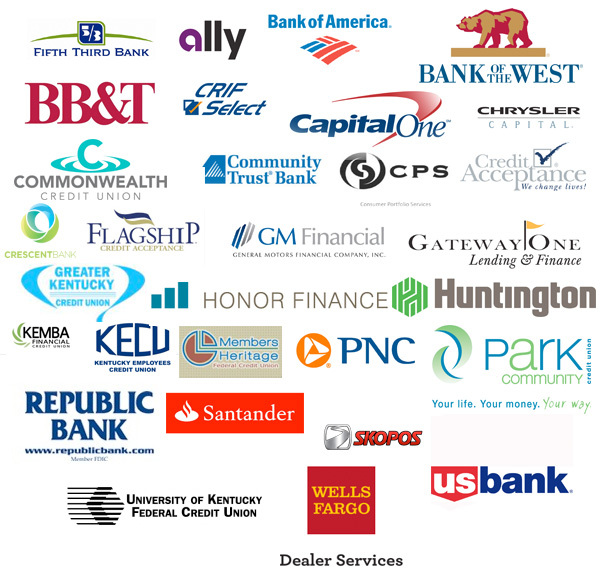 Thanks to partners like Fifth Third Bank, Chrysler Capital, BB&T and more, we have created a network of banks that allow you to make the most of your loan and vehicle while saving money.